The current version of the Aberrator does not simulate all aspects of the planetary images yet. One the the most important differences between telescopes in the fact that large aperture can allow higher magnifications. 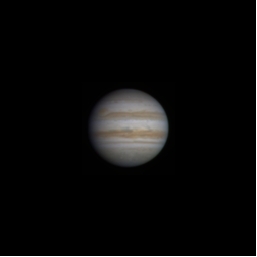 Using a magnification of 250x on Jupiter in a 6” scope (left) or a 12” scope (right) makes a clear difference as can be seen in the images below. Increasing the magnification will actually dim the images unless the dimming-feature is off. To get even closer to reality we have added special calculations that take into account the size of a monitor and the distance from your eye to the screen. The images will be resized accordingly. 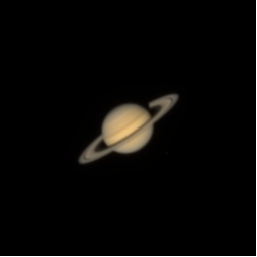 Below are images for a 14” screen depicting saturn at 250 times magnification and simulated for views at 20” (left) or 40” (right) from the screen.